We are manufacturing premium quality Casted Gunmetal Bushes in customized sizes ranging from 60mm to 6000mm OD and 100mm to 4000mm Length with 40mm to 4000mm ID. Ratnadeep Castings “Born to Cast with Quality” incepted in the year 2011 with the vision to become Leading suppliers of quality castings with utmost time to delivery by following all the set conditions and standards. Ours is a Pune based leading Manufacturer of Non-Ferrous Castings by Centrifugal Casting Process. We manufacture castings in Phosphor Bronze, Aluminum Bronze, Gun Metal, Leaded Tin Bronze, Brass Material, Aluminum-Tin Alloys, Aluminum Si Alloys, Manganese Bronze, Nickel etc. as per BS, IS and DIN Standards along with custom based requirement of the customers. Our core activity is Manufacturing “Centrifugal Castings” along with precision machining with the in-house machining facilities supplying both in Proof Machined and Machined Status. As we know that Centrifugal Castings are preferred over conventional castings due to its inherent qualities interms of near zero defects leading to higher reliability & strength. 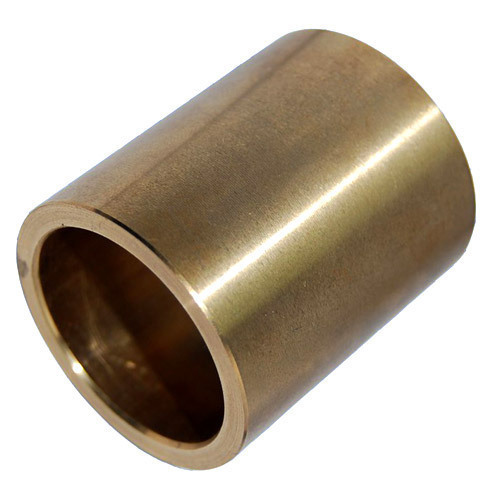 When it comes to dealing with commonly used alloys like phosphor bronze, gun metals, aluminum bronze our expertise and experience along with capabilities has given us a competitive edge over others. Our products are diversified in the field liners, Bushes, Worm Wheels, Rings, Propellers, and Flats, Vice, Sealing Rings, Bushes and Liners in Brass, Aluminum Bronze, Manganese Bronze, Phosphorus Bronze, Leaded Bronze and Gunmetal by Centrifugal Casting Process. We also specialize in precision non-ferrous oilless bushes for assembly in automobile, engineering, automation, process, chemical, and other sectors. The plant has highly sophisticated machineries and equipment which are professionally supported by qualified engineers under the leadership of Metallurgist with over 25+ years of experience in non-ferrous castings i.e. Visionary Personality Our Director and Founder Mr. Laxman Sadhu Shinde. Overhead Crane having 3 Ton Capacity and 5 Tons capacity each. Spectrometer for testing of raw material. Standard Ingots are used for manufacturing castings from reputed companies. Results of Chemical & Physical Properties matching to your specifications. Products Conforming Radiography Test Results. Implementing Advanced Technology with the vision of extended support since Enquiry to Execution is the driving force behind Ratnadeep Castings Success. Quality is epitome through which we attain customer trust and 100% customer satisfaction. We guarantee a High Quality, Cost Economical and In Time Delivery of products.